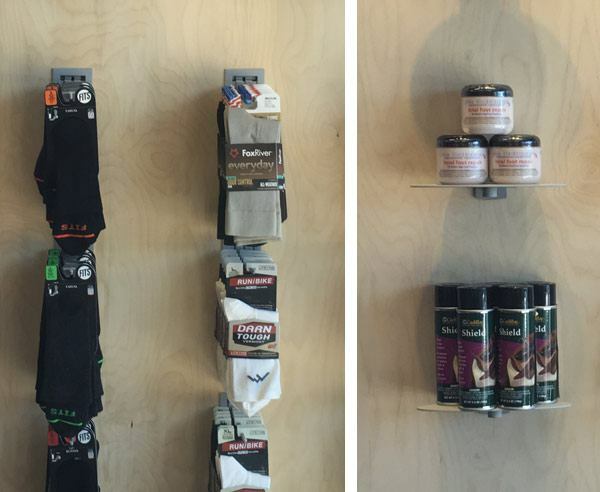 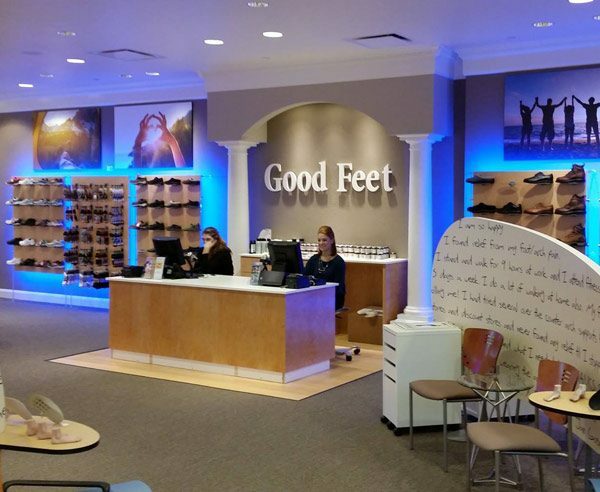 The Good Feet Store offers an unmatched variety of custom-‎‎fitted arch supports for many shoe types, from athletic shoes to high heels! 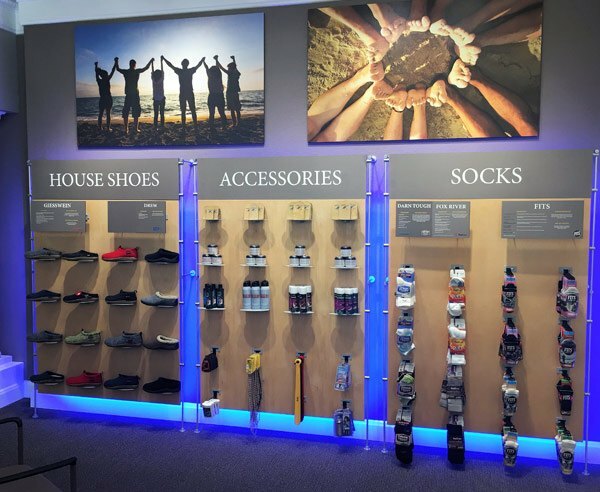 ‎They also ‎stock a variety of shoes for sale, that's why the designers needed to ‎come up ‎with a shoe display, that will blend in the background without stealing the ‎spotlight from the main products – the ‎arch supports. 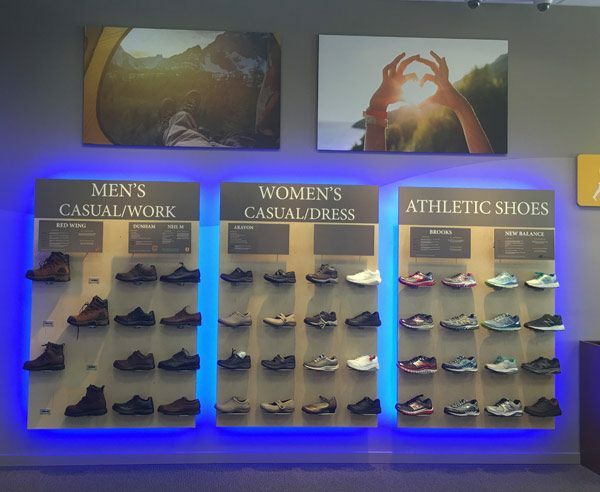 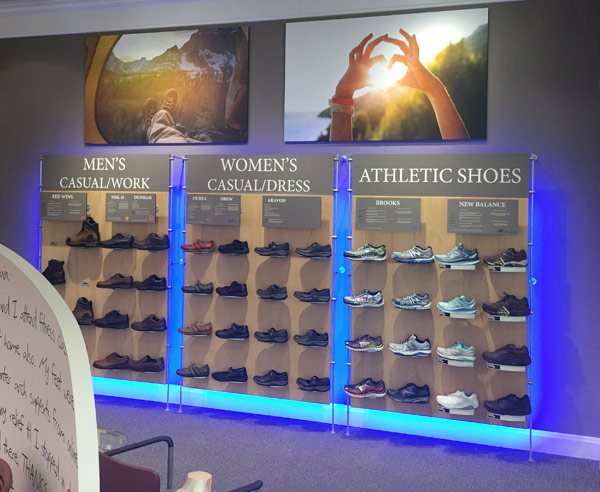 Keeping that very goal in ‎mind, they created a unique & impressive ‎backlit wall display using one of our most ‎popular settings which combines ‎Tube System panel support units, SoloSlat fixtures & ‎shoe displayers. 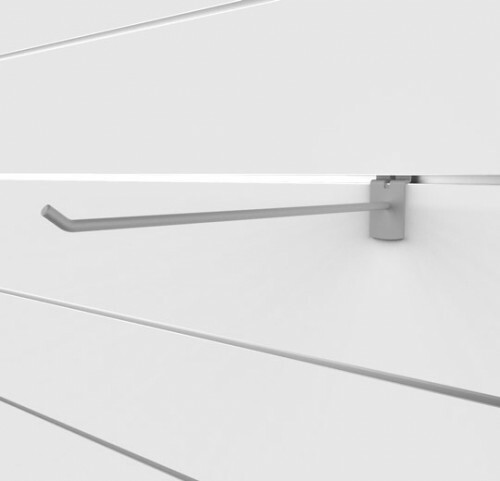 Slatwall Hooks 2" - 12"